Is MPLX LP (MPLX) A Good Stock To Buy? Is MPLX LP (NYSE:MPLX) a good stock to buy right now? We at Insider Monkey like to examine what billionaires and hedge funds think of a company before doing days of research on it. Given their 2 and 20 payment structure, hedge funds have more resources than the average investor. The funds have access to expert networks and get tips from industry insiders. They also have numerous Ivy League graduates and MBAs. Like everyone else, hedge funds perform miserably at times, but their consensus picks have historically outperformed the market after risk adjustments. More recently the top 30 mid-cap stocks (market caps between $1 billion and $10 billion) among hedge funds delivered an average return of 18% during the last four quarters (S&P 500 Index funds returned only 7.6% during the same period). Is MPLX LP (NYSE:MPLX) a buy here? The best stock pickers are becoming more confident. The number of long hedge fund bets went up by 2 lately. The level and the change in hedge fund popularity aren’t the only variables you need to analyze to decipher hedge funds’ perspectives. A stock may witness a boost in popularity but it may still be less popular than similarly priced stocks. 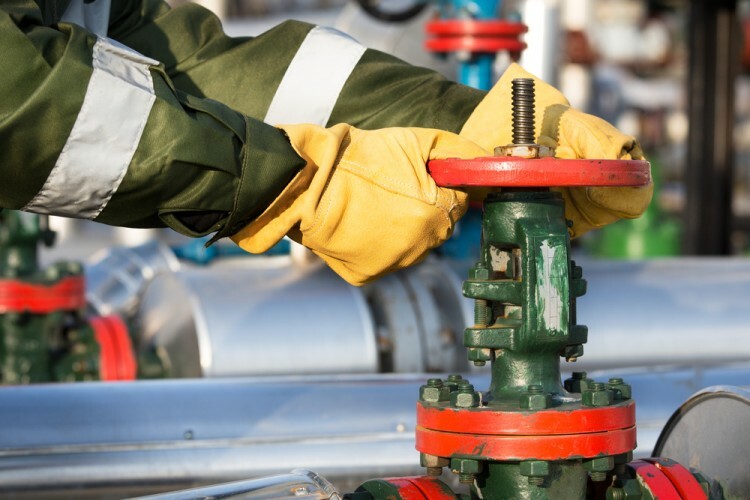 That’s why at the end of this article we will examine companies such as KLA-Tencor Corporation (NASDAQ:KLAC), Waters Corporation (NYSE:WAT), and Coach, Inc. (NYSE:COH) to gather more data points. 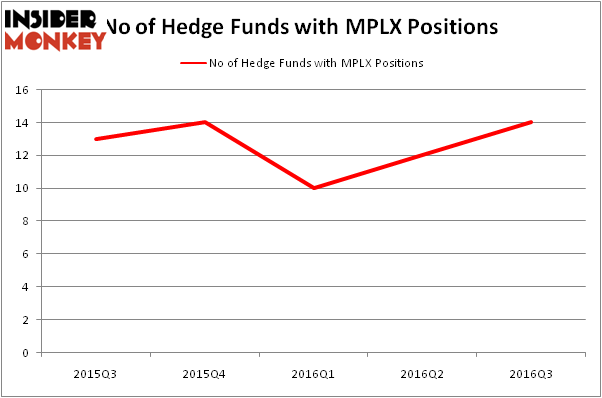 What have hedge funds been doing with MPLX LP (NYSE:MPLX)? Heading into the fourth quarter of 2016, a total of 14 of the hedge funds tracked by Insider Monkey were long this stock, a 17% rise from one quarter earlier and the second straight with a rise. Below, you can check out the change in hedge fund sentiment towards MPLX over the last 5 quarters. So, let’s review which hedge funds were among the top holders of the stock and which hedge funds were making big moves. Of the funds tracked by Insider Monkey, Stockbridge Partners, led by Sharlyn C. Heslam, holds the biggest position in MPLX LP (NYSE:MPLX). Stockbridge Partners has a $143.5 million position in the stock, comprising 6.9% of its 13F portfolio. The second most bullish fund manager is Zimmer Partners, led by Stuart J. Zimmer, which holds a $35.4 million position. Remaining professional money managers with similar optimism comprise James Dondero’s Highland Capital Management, Dmitry Balyasny’s Balyasny Asset Management, and Jim Simons’ Renaissance Technologies. We should note that Zimmer Partners is among our list of the 100 best performing hedge funds which is based on the performance of their 13F long positions in non-microcap stocks. Is Tobira Therapeutics Inc (TBRA) A Good Stock To Buy? Is Bottomline Technologies (EPAY) A Good Stock To Buy? Hedge Funds Are Selling Concordia International Corp (CXRX) Is Cohu, Inc. (COHU) A Good Stock To Buy Right Now? Is 2U Inc (TWOU) A Good Stock To Buy? Is Cryolife Inc (CRY) A Good Stock To Buy?